Air Canada has the worst on-time arrival performance of any major international airline, a CBC Marketplace investigation has found. Numbers from travel information group FlightStats showed just 60.89 per cent of the Canadian carrier’s flights landed on time in 2012, the worst on-time performance record of 28 international airlines. Air Canada’s record worsens on the popular Vancouver-Toronto corridor where only 55 per cent of flights arrived on time in 2012. Air Canada competitor WestJet landed on time 70 per cent of the time on that same route. The airline’s performance is "not good," says Anming Zhang, professor of air transportation at the University of British Columbia. He speculates that the airline’s poor punctuality will cost it customers. "If you can arrive on time, it is considered by passengers as a quality of service," he said. "Unhappy customers are not willing to take your flight if there's a competitor flight [that’s on time]." Zhang says many factors can cause late flights, including poor weather and international connections. He points out that WestJet has the advantage of being a largely domestic airline, while Air Canada flies to Europe and Asia, long-haul flights that are more prone to delays. He also says Air Canada’s fleet could be a problem, since the variety of aircraft types can slow maintenance and repairs. "If the airline works with a single aircraft type, it's much easier, you know the aircraft inside and out," he told Marketplace co-host Erica Johnson. "Once you mix with different aircraft types and parts, there will be more complicated operations." WestJet uses just one aircraft type. "[Using one model] is much simpler," he said. "If you have seven or eight aircraft types, versus just one aircraft type, the parts are uniform and mechanics know exactly what happened. It’s much faster." Watch Marketplace's episode The Busted Edition Friday at 8 p.m. (8:30 p.m. in Newfoundland and Labrador). Top-ranked Japan Airlines, which lands more than 90 per cent of flights on time, has 10 different aircraft types. Air Canada responded to Marketplace’s investigation with a written statement saying, in part, "Air Canada is now engaged in a company-wide, on-time-performance initiative that is resulting in continuous improvement in this area." Starting April 10, Air Canada will require customers on most flights to check their bags 45 minutes before departure time, instead of the current 30 minutes. 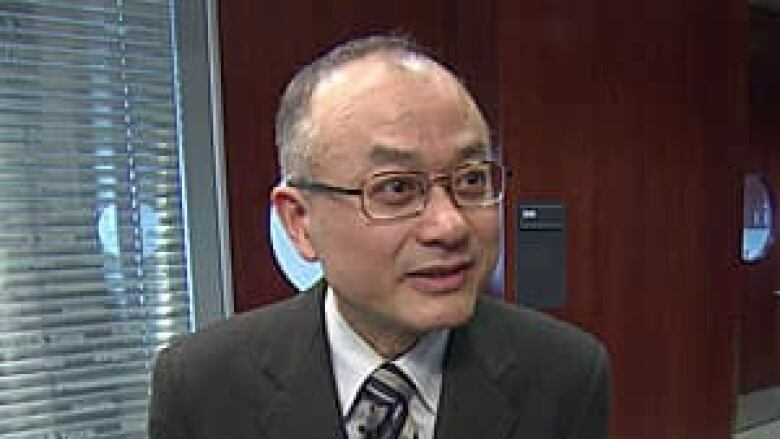 Zhang says checking bags earlier is a positive step that should save time, but he also encourages Air Canada to be more transparent about its delays. "Customers pay for this service and they have the right the right to consume the product as the company has advertised," he said. "They have a scheduled departure time [and] a scheduled arrival time, and they are entitled to see why there is a deviation from the product you provide and the product you declared in terms of quality aspects."